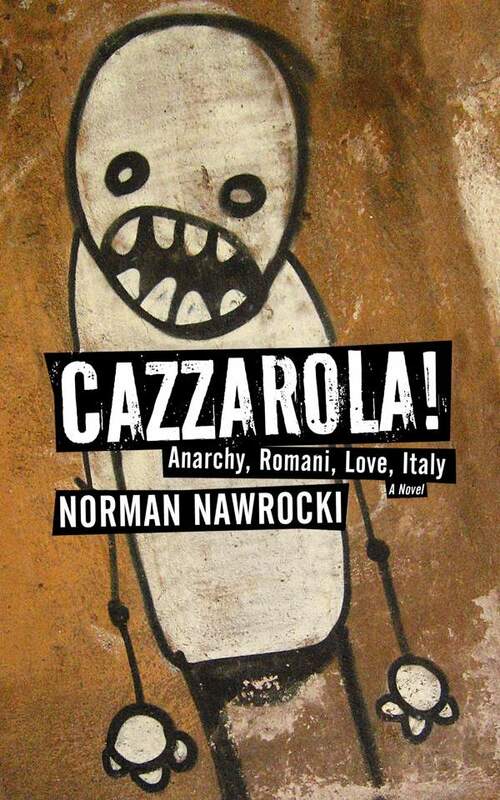 Check out Norman’s CAZZAROLA! site for tour dates, info, videos and more! 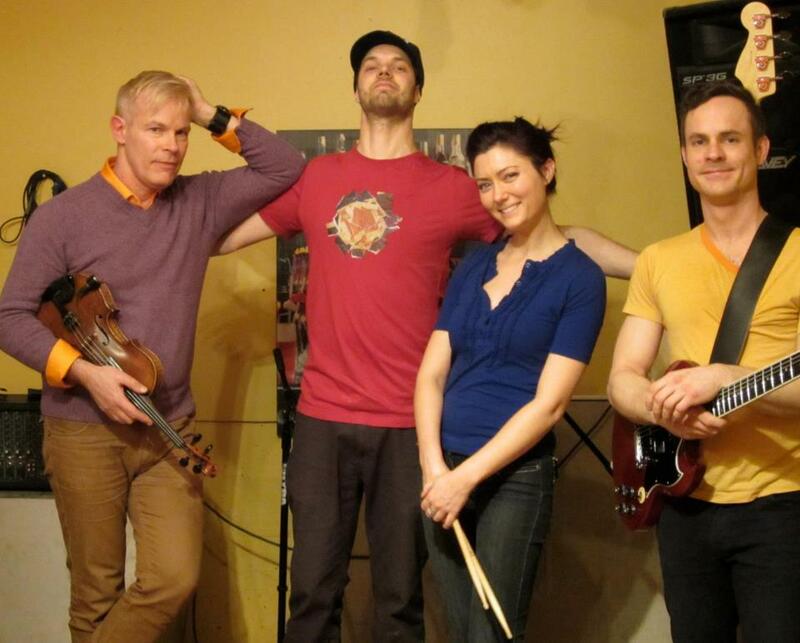 Norman will tour 20 Canadian cities, October 24th to December 4th, 2013 with CAZZAROLA! 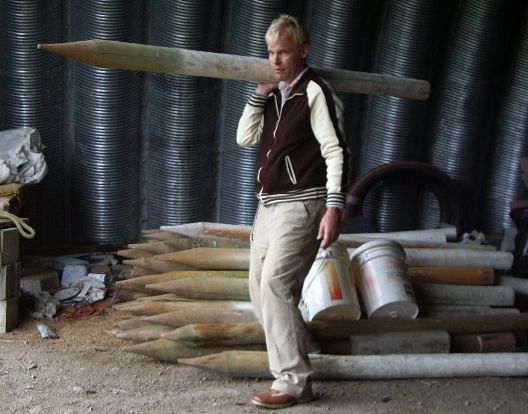 Anarchy, Romani, Love, Italy – the title of his new novel and musical soundtrack album. The novel – CAZZAROLA! Anarchy, Romani, Love, Italy (PM Press, Oakland, California, 2013) – is a 300 page historical/romantic/political work spanning 130 years in the life of a family of Italian anarchists. They engage in heroic resistance to Fascism in Italy, including the recent wave of contemporary neo-Fascism sweeping Europe. CAZZAROLA! is also a love story about an Italian boy who falls for a Roma refugee girl. Theirs becomes a forbidden relationship impacted by cultural taboos and the ongoing persecution of Romani refugees. 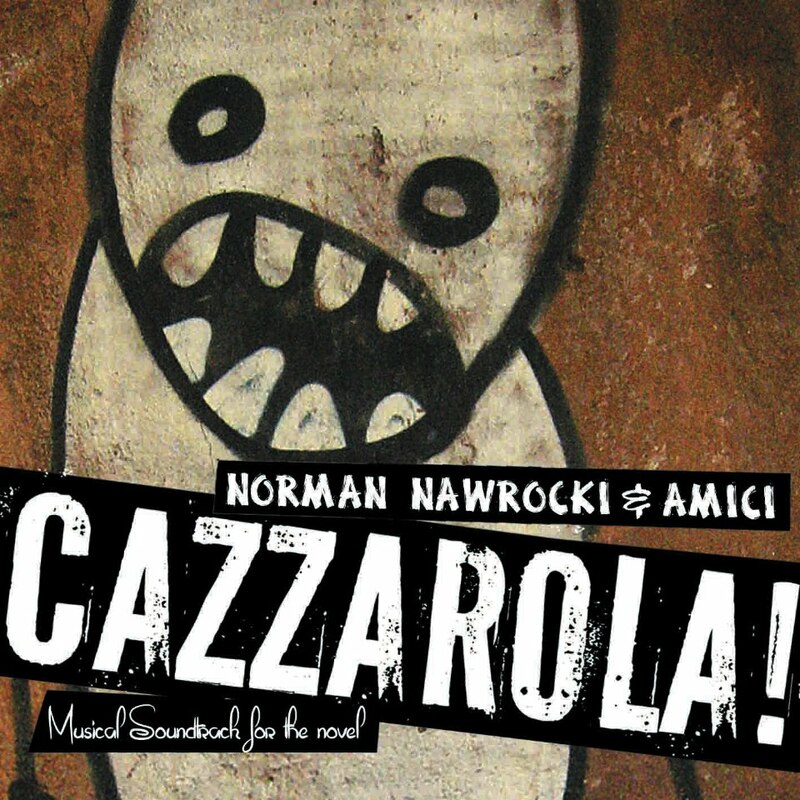 On stage, Nawrocki will dramatize excerpts from CAZZAROLA!, playing several characters from the book, then perform selections from the album on his looped and sampled violin. Where possible, the event will also include a round-table discussion with local representatives from Roma and immigrant/ refugee/migrant worker communities. “In Romani culture, when enjoying music we don't say, ‘Did you hear that?’ We say, ‘Did you feel that?’ I didn't just read CAZZAROLA! I felt it. As a Romani woman who has lived in Italy, this very relatable novel often echoed the pages of my own life. Bravo, Ta Aves Baxtalo! “CAZZAROLA! is a powerful, blunt, epic scream against social injustice. 30 musical tracks based on the book and inspired by the story; Italian & English songs, traditional and new, folkloric and original, from 1890 to today, with Norman and bands like Crocodile, DaZoque!, DisCanto, Obsolescenza Programmata, SANN, and other musicians from Italy and Montreal. Available on his CAZZAROLA! tour, and online after October 7th, 2013. Norman Nawrocki's lancement/book launch / free show/ spectacle gratuit! 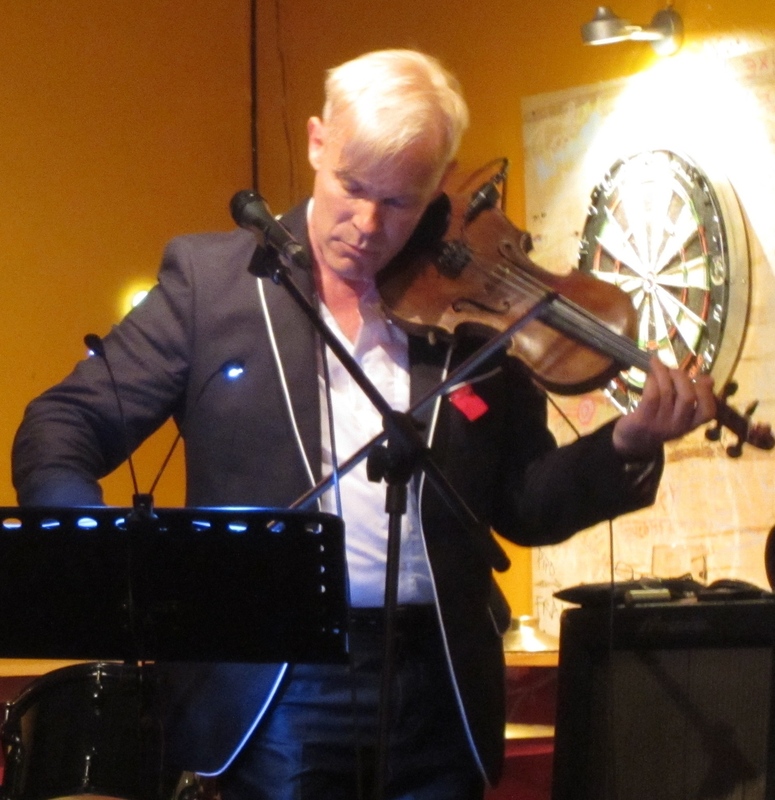 Thurs / jeudi May 23 mai Bar Populaire, 6584 boul St-Laurent 19h / 7pm – 21h / 9pm Live violin! Live Norman! plus un nouveau band/guests : Crocodile! Norman launches his newest book of rabble-rousing poems, songs and attitude, QUEBEC STUDENT STRIKE & SOCIAL REVOLT POEMS, with a free violin performance and reading Thursday, May 23rd at the Bar Populaire, 6584 boul St-Laurent, 7pm –9pm, and special guest appearance by the band, Crocodile! The book also contains new original, compelling art by Montreal artists: Judith Brisson, Caro Caron, Philippe Caron, Mathieu Chartrand, Raphaëlle Dubois Beauchamp, Chloé Germain-Thérien, Tournesol Plante, Keenan Poloncsak, Artact QC, Marie-Pascale Rokas and L’École de la Montagne Rouge. As one of the ‘Profs against the hike’ from Concordia University, Norman wrote QUEBEC STUDENT STRIKE & SOCIAL REVOLT POEMS in the spirit of love and rage between marching with students and banging a pot. His poems talk about brutal police repression, the nightly, festive ‘casserole’ marches, and question why thousands of people were arrested for standing up for their rights. The 34 pieces are a personal testimony to the power and passion of this movement and to the remarkable selfless courage, solidarity and creativity of the students. QUEBEC STUDENT STRIKE & SOCIAL REVOLT POEMS is distributed in the USA & Europe by AK Distribution and in Canada by Les Pages Noires Distribution. ISBN 978-2-9805763-5-5 104 pages, illustrated; 5.5" x 5.5" $15 postpaid, Canada and the USA; $20 worldwide. 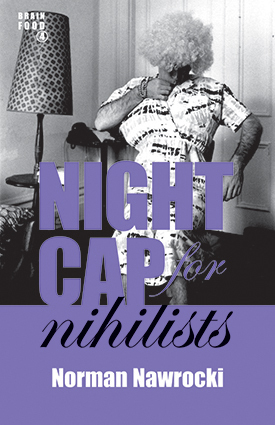 • The fourth book in his exciting and ever-expanding 'Brain Food' trilogy (Breakfast for Anarchists, 2007, Lunch for Insurgents, 2009, and Dinner for Dissidents, 2009) of rad poetry and bad attitude is NIGHTCAP for NIHILISTS (Les Pages Noires, Montreal, 2012). Includes original artwork by Philippe Caron, Mathieu Chartrand, Fly, David Lester, Keenan Poloncsak, Matta and Emily Rose Michaud. Distributed in the USA & Europe by AK Distribution and in Canada by Les Pages Noires Distribution. 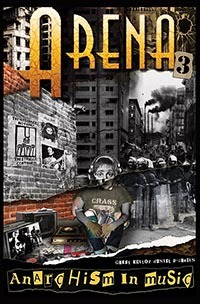 • A chapter in the new volume #3 of ARENA (Christie Books, Hastings, England, 2012) devoted to Anarchism in Music. Norman wrote, 'Rhythm Activism to Bakunin's Bum: Reflections of an unrepetant anarchist violinist.' Other chapters by Penny Rimbaud, Boff Whalley, David Rovics, etc. 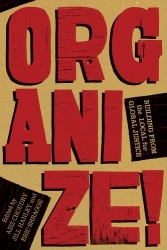 • A chapter on how to use music for community organizing in a new book called Organize! : Building from the Local for Global Justice (PM Press, Oakland, 2012), edited by Aziz Choudry, Jill Hanley & Eric Shragge. 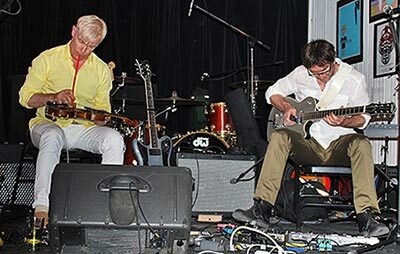 Montreal’s newest exciting experimental improv music duo, ‘The Pedals,’ twins local scenster veterans Norman Nawrocki on modified violin and Gregory Anderson Smith on treated guitar at the Casa del Popolo, Wednesday, Sept 12, 9pm. Admission is $5. Doors open 8:30pm. “...on the front line of the struggle for social justice: rants, anecdotes, parables, and songs, all in that long tradition of imaginative, creative, eloquent engaged art that aspires to cheer the downtrodden and horrify despots.